Carol J. Adams is a feminist-vegan advocate, activist, independent scholar, and author of numerous books, including her pathbreaking The Sexual Politics of Meat: A Feminist-Vegetarian Critical Theory, now in a Bloomsbury Revelations edition celebrating its 25th anniversary. The book has been translated into several languages, most recently Turkish and Portuguese, with French and Spanish editions scheduled to appear in 2016. 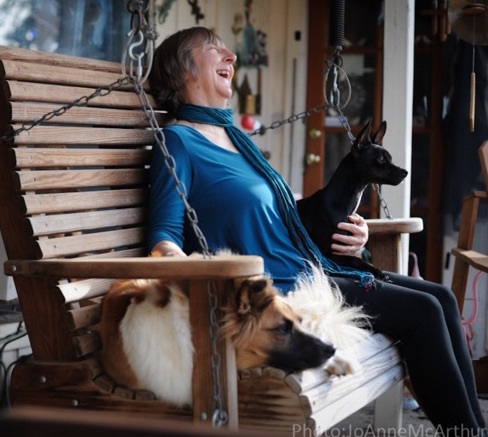 Carol has been thinking about theological, religious, and spiritual issues having to do with our relationships with other animals for many years, and is the author of The Inner Art of Vegetarianism and the editor of Ecofeminism and the Sacred. She is also the author of books on living as a vegan, including Never Too Late to Go Vegan: The Over-50 Guide to Adopting and Thriving on a Vegan Diet (with Patti Breitman and Virginia Messina), and Living Among Meat Eaters: The Vegetarian’s Survival Guide. She is the co-editor of several important anthologies, including most recently Ecofeminism: Feminist Intersections with Other Animals and the Earth (with Lori Gruen). Her writings are the subject of two recent anthologies, Defiant Daughters: 21 Women of Art, Activism, Animals, and The Sexual Politics of Meat and The Art of the Animal: 14 Women Artists Explore The Sexual Politics of Meat, in which a new generation of feminists, artists, and activists respond to Adams’ groundbreaking work. She is currently working on a Christian ethics of care for animals. In the fall of 2016, The Carol J. Adams Reader: Essays and Conversations: 1995-2015 will be published by Bloomsbury. Visit her website at www.caroljadams.com for more about her work and to read her blog.